Albert Finney, the legendary star of such films as Saturday Night and Sunday Morning (1960), Tom Jones (1963), Scrooge (1970), and Murder on the Orient Express (1974), died on February 7 2019 at the age of 82. 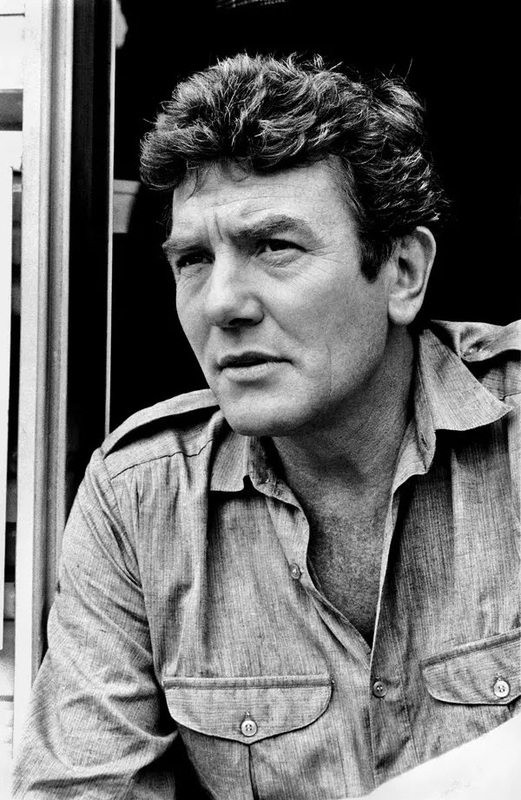 Albert Finney was born on May 9 1936 in Salford, Greater Manchester. He was encouraged by the headmaster at Salford Grammar School to go into acting. He then attended in the Royal Academy of Dramatic Art, and was in the same class as Peter O'Toole and Alan Bates. He became a member of the Royal Shakespeare Company. He made his television debut in 1956 in the production She Stoops to Conquer. He appeared on television in episodes of BBC Sunday-Night Theatre, Emergency-Ward 10, and Theatre Night. Mr. Finney made his London stage debut in 1958 in The Party. Albert Finney made his film debut in a role in The Entertainer in 1960. That same year he starred in Saturday Night and Sunday Morning for which he was nominated for the BAFTA Award for Best British Actor. In the Sixties Albert Finney starred in the movie Tom Jones (1963), for which he was nominated for the Oscar for Best Actor in a Leading Role and the BAFTA Award for Best British Actor. He starred in the films The Victors (1963), Night Must Fall (1964), Two for the Road (1967), Charlie Bubbles (1968), The Picasso Summer (1969), and Scrooge (1970). He appeared on Broadway in Luther and A Day in the Death of Joe Egg. In the Seventies Mr. Finney appeared in the films Gumshoe (1971), Alpha Beta (1974), Murder on the Orient Express (1974), and The Duellists (1977). In the Eighties he appeared in the films Loophole (1981), Wolfen (1981), Looker (1981), Shoot the Moon (1982), Annie (1982), The Dresser (1983), Under the Volcano (1984), Orphans (1987), and Miller's Crossing (1990). He appeared on television in Pope John Paul II (playing the title role) and other TV movies as well as the mini-series The Endless Game and The Green Man. In the Nineties Albert Finney appeared in the films The Playboys (1992), Rich in Love (1992), The Browning Version (1994), A Man of No Importance (1994), The Run of the Country (1995), Washington Square (1997), Breakfast of Champions (1999), Simpatico (1999), Erin Brokovich (2000), and Traffic (2000). He appeared on television in the mini-series Karaoke, Cold Lazarus, and Nostromo. In the Naughts Mr. Finney appeared in the films Hemingway, the Hunter of Death (2001), Delivering Milo (2001), Big Fish (2003), Ocean's Twelve (2004), Aspects of Love (2005), A Good Year (2006), Amazing Grace (2006), The Bourne Ultimatum (2007), Before the Devil Knows You're Dead (2007). He provided the voice of Finis Everglot in the stop motion animation film Corpse Bride (2007) He played the title role in the TV series Uncle Silas. In the Teens he appeared in the movies The Bourne Legacy (2012) and Skyfall (2012). Albert Finney was a remarkable actor. In fact, he was a bit of a chameleon. He was only thirty years old when he played the title role in the musical Scrooge and yet he was utterly convincing in the role. Over the years he would play a wide variety of roles and would be convincing in all of them, from the title role in Tom Jones to Hercule Poirot in Murder on the Orient Express to Constable Brendan Hegarty in The Playboys. Indeed, I am convinced that Mr. Finney could not possibly be typecast. Of the many roles he played in his career, no two were alike. Few actors had the talent that Albert Finney had.